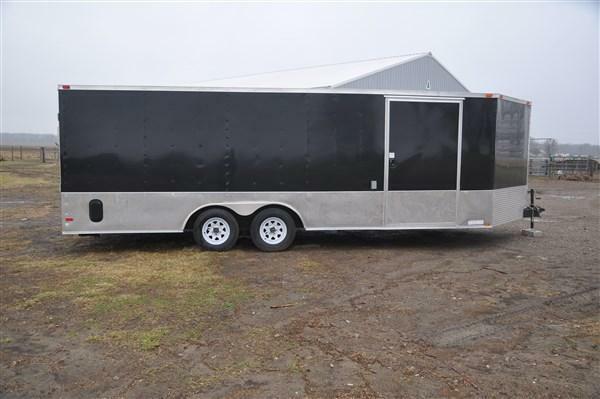 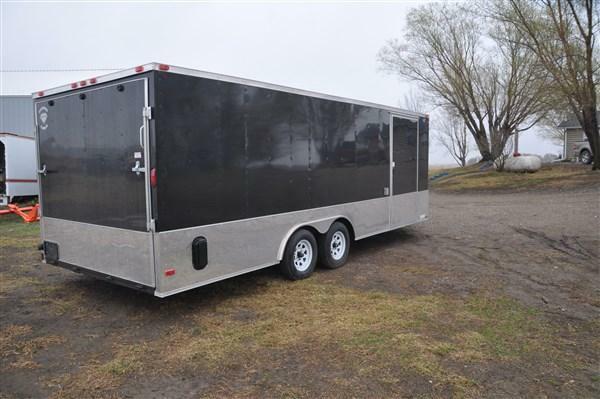 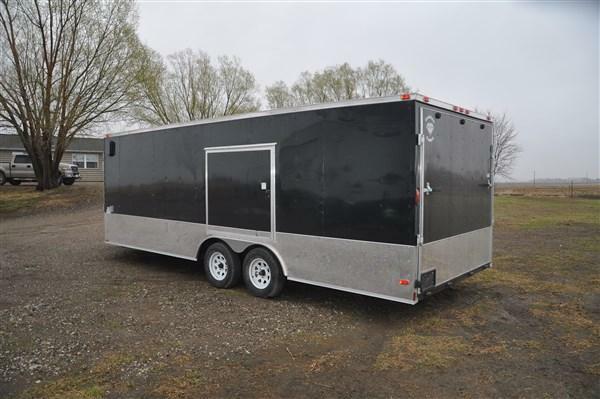 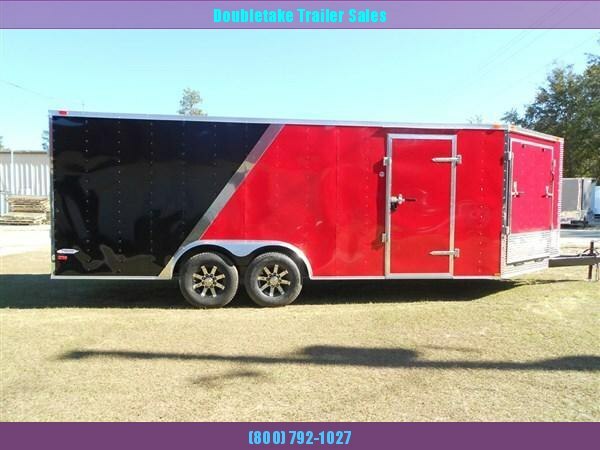 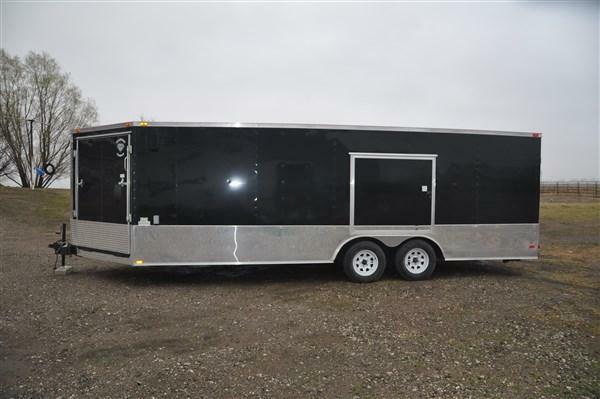 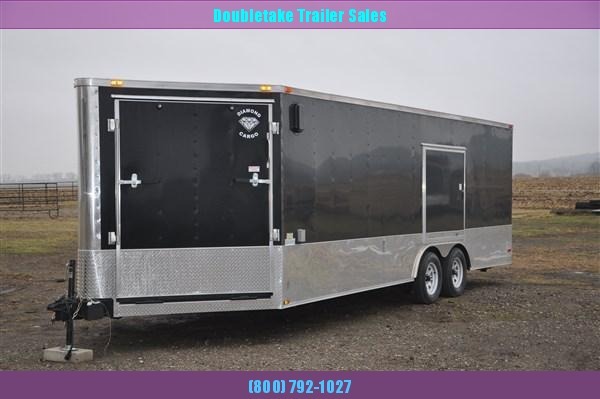 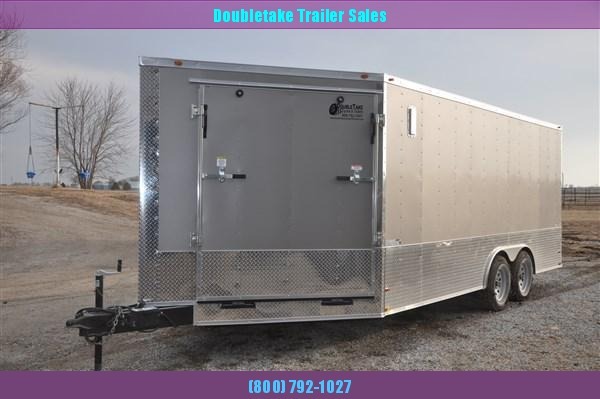 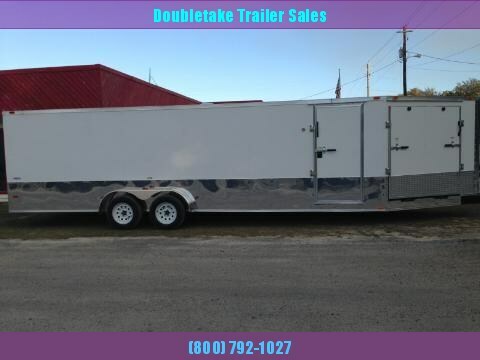 Diamond Cargo 8.5 x 22 Snowmobile Trailer. 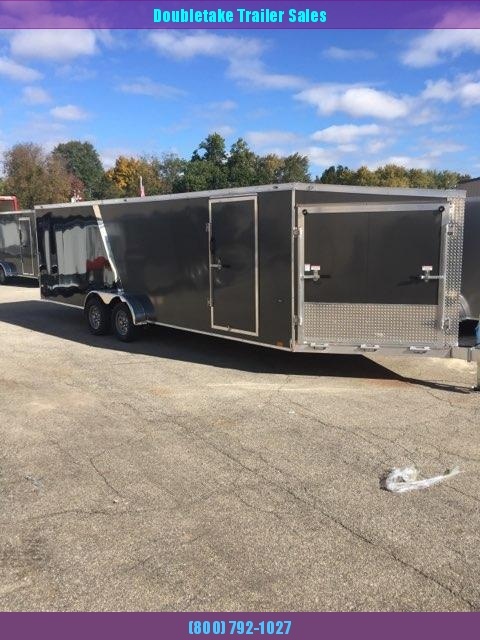 This trailer includes an extended V nose that features a 5a ramp in the v nose. 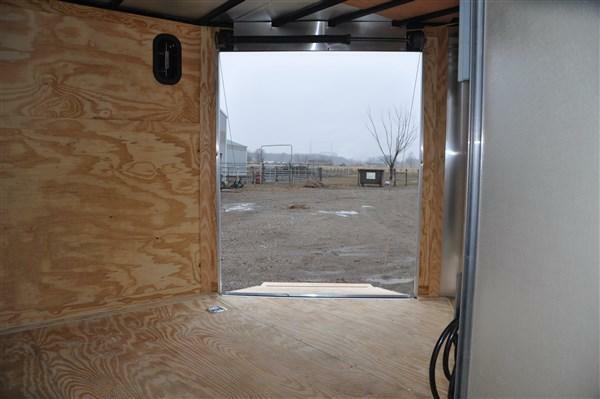 The drivers side escape door makes it easy to get out of your car once you are inside. 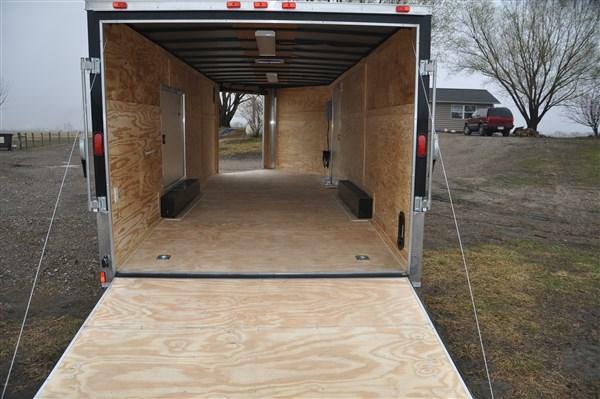 The upgraded 48aAÂ³ side door makes for ease of entry . 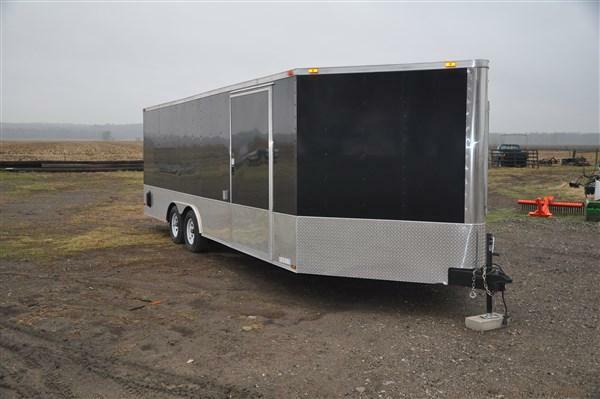 The 24aAÂ³ anodized bottom trim gives this trailer a little flash. 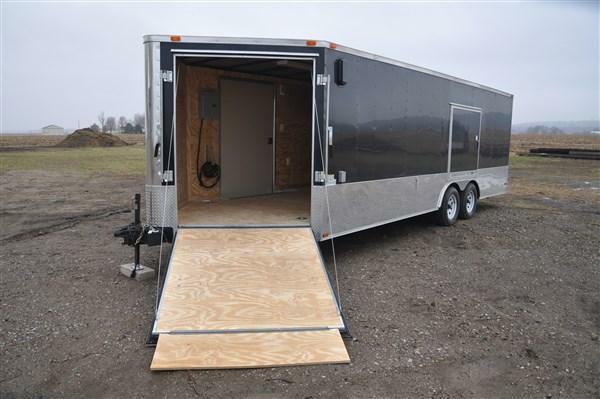 also a 30 amp electric package that features 2 interior outlets and also two 4 foot overhead lights as well as 2 exterior GFI outlets. 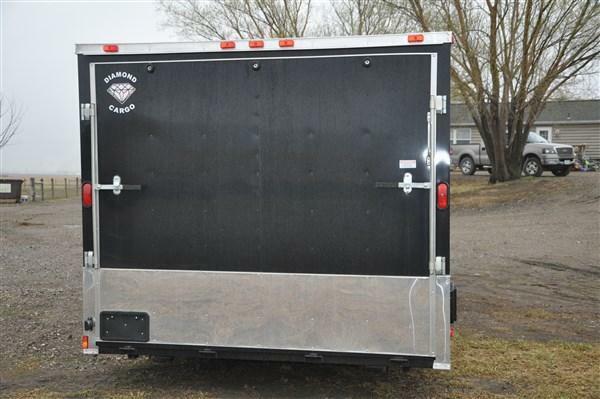 Rear stabilizer jacks bogey wheels, side wall vents as well as all the great Diamond Cargo standard features listed below.